"The devastating human suffering and economic costs of Hurricane Sandy will be felt for years. While the loss of a tree is not comparable to the loss of a life, home, or livelihood, the plants and trees that line our parks, yards, and streets are an important part of our city’s history and ecosystem. The photos in this essay are from parts of New York City that saw little human or property damage. Here, Sandy made her mark in other subtle, but equally long-lasting, ways." Meet at Main Gate (25th Street and 5th Avenue, Brooklyn) at 8 AM. Public transportation (R train to 25th Street). 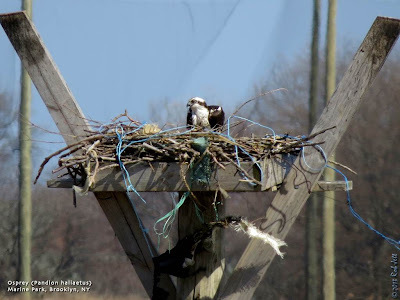 Guides: Don Riepe, Tod Winston Explore the woodland and pond habitat of the 20,000-acre Sterling Forest preserve during peak spring migration. Look for nesting warblers (including golden-winged, cerulean, hooded, prairie, and blue-winged) as well as spring wildflowers, reptiles, and amphibians. Visit the rustic visitor center. Trip involves a 4-mile hike and some rocky terrain. Bring lunch, water, and binoculars. Transport by passenger van. Limited to 11. $70 Click here to register. Guide: Gabriel Willow Meet at the Staten Island Ferry, Manhattan side (4 South St. and Whitehall St.), New York City. Journey to the borough of Staten Island to discover some of its best birding spots. Look for ducks and seabirds in New York Harbor on our way across and then ride to Staten Island's premier "migrant traps," Clove Lakes and Silver Lake parks. Bring binoculars, water, lunch, and your bicycle. Limited to 15. $30. Click here to register. 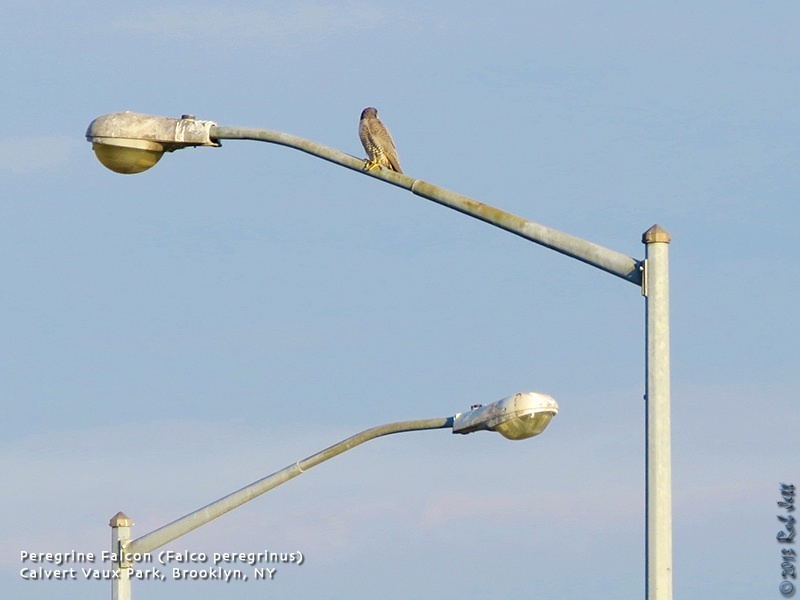 Guides: Cliff Hagen, Tod Winston Come visit some of the beautiful, bird-rich spots on Staten Island--which can be hard for car-less New Yorkers to get to. We'll start looking for migrating warblers, flycatchers and more along the lovely wooded and streamside trail of Clove Lakes Park... then move on to the pristine marsh habitat of Great Kills Park, looking for shorebirds and wading birds. Depending on time, we may make a third stop at the spectacular North Mount Loretto Unique Area. Bring lunch, water, and binoculars. Transport by passenger van included. Limited to 12. $75 Click here to register. Instructor: Joe Giunta, Happy Warblers LLC First learn to identify the 30-plus species of warblers that migrate through our area each spring, using field marks and other techniques. Then go out in the field and reinforce what you've learned! Field trip to Central Park. 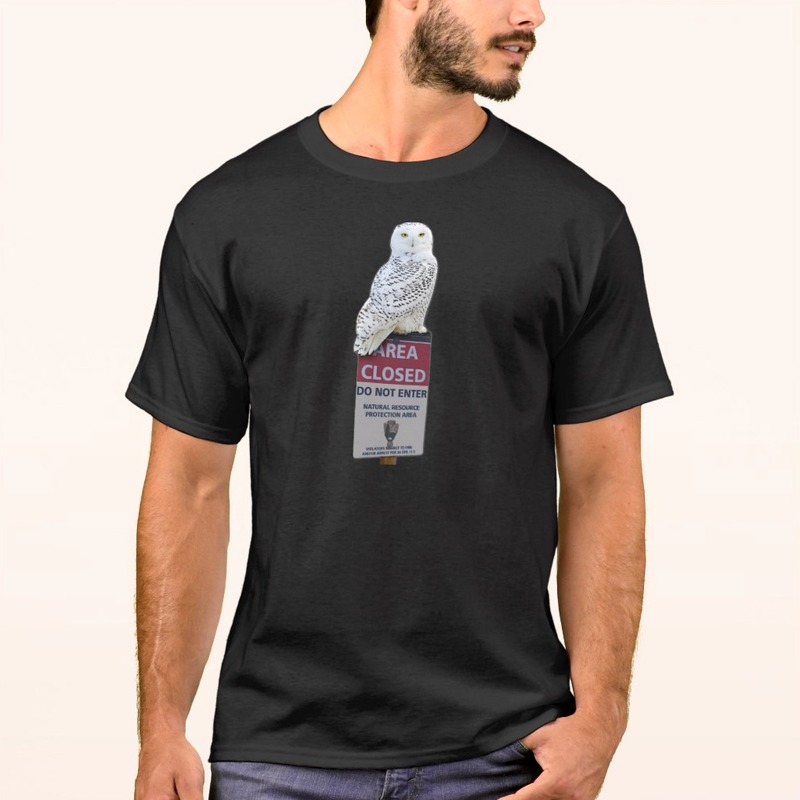 Limited to 12. $50 Click here to register. Saturday, May 4, 2013, 7:30 A.M. Participants for the 27th Annual, 32 mile saunter around the Manhattan shoreline will gather at Fraunces Tavern, 54 Pearl Street, off Broad. Saturday, May 4, 2013, 12 Noon to 2:00 P.M. Enjoy a stroll along the multi-use trail overlooking Fresh Kills with Clay Wollney. Meet in the parking lot at the start of Old Mill Road, alongside St. Andrew’s Church. For more information phone Clay at 718-869-6327. Sunday, May 5, 2013, 10:30 A.M. to 12:30 P.M.
Join naturalist and former New York State archaeologist Mike Shanley for a spring walk through Arden Heights Woods. Most of Arden Heights Woods is a forested hardwood swamp. This park is considered the largest wetlands that the Department of Environmental Conservation has classified anywhere in the New York metropolitan area. It contains several kettle ponds and streams making it an important bluebelt area. Meet at the corner of Carlton Boulevard and Legate Avenue. For more information call Mike at 917-753-7155, or email Falecore [AT] yahoo.com. Forest Park is THE best place to be for spring migrants, and no one knows their way around better than Jean. Wildlife viewing opportunities exist year-round in all of our parks and beaches. Greetings. This is the New York Rare Bird Alert for Friday, April 26th, at 8:00pm. The highlights of today's tape are SWALLOW-TAILED KITE, WHITE-FACED IBIS, SANDHILL CRANE, RUFF, RED-NECKED PHALAROPE, BLACK BRANT, BLUE GROSBEAK, YELLOW-THROATED WARBLER and Spring Migrants. This year's winner of the "Who will spot the SWALLOW-TAILED KITE?" contest was standing in Van Cortlandt Park Thursday morning when one flew over the Parade Grounds, heading west. This species seems very reluctant to hang out in New York for very long. The award may need to be shared, though, as a SWALLOW-TAILED was also reported flying over Hartsdale, Westchester County, on Thursday evening. Last Sunday morning an adult WHITE-FACED IBIS was found roosting with 20+ Glossy Ibis in the cove just north of the southwest corner of the East Pond at Jamaica Bay Wildlife Refuge. A SORA also came out of the phragmites briefly in the same area. After the ibis departed, it could not be relocated. With the West Pond corrupted by a bad tidal breach, it is not likely the White-faced will visit the north end there as regularly as in past years, so determining its new habits will be challenging. Large trenches at the south end of the East Pond will also make traversing that area impossible, so please address these concerns with Jamaica Bay personnel. The two RUFFS at the East Marina at the Timber Point Golf Club have been quite reliable through today, in the marsh, though patience may be necessary until they come into view. Enter the Timber Point Golf Club from Great River Road and follow the sign to the East Marina, which has a parking lot and a dock from which the marsh can be scanned. Also watch for the Black Brant among the few hundred Atlantic Brant, these sometimes in the cove off the boat dock, but more likely on the golf course, where birders should not go. A female RED-NECKED PHALAROPE was spotted last Sunday off Dune Road, west of Shinnecock Inlet, initially staying just off Road J, west of the Ponquogue Bridge. By Wednesday it had moved east of the bridge, near the boat docks, but we have no word since. We also have a belated report of a SANDHILL CRANE at Croton Point Park in Westchester County on Thursday the 18th. 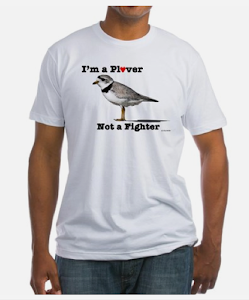 Among the nice variety of passerines now trickling in (and is anyone tired of these northwest winds yet?? ), a couple of BLUE GROSBEAKS have shown up: one at Fort Hero in Montauk last Sunday, and one on Shelter Island Monday. A YELLOW-THROATED WARBLER, somewhat elusive, was seen at Hempstead Lake State Park last Saturday and again today, this near McDonald Pond. Unusual birds in Prospect Park have featured a WORM-EATING WARBLER last weekend, a female EVENING GROSBEAK and a hybrid "LAWRENCE'S" WARBLER yesterday and a BLACKPOLL WARBLER today. HOODED WARBLER has visited Central Park, Alley Pond Park, and Oakland Lake in Queens, and a growing list of other warbler arrivals has included BLUE-WINGED WARBLER, NORTHERN PARULA, MAGNOLIA WARBLER, BLACK-THROATED BLUE WARBLER, PRAIRIE WARBLER, and AMERICAN REDSTART. Other passerines have featured EASTERN KINGBIRD, GREAT CRESTED FLYCATCHER, YELLOW-THROATED VIREO, WARBLING VIREO, BALTIMORE ORIOLE, ROSE-BREASTED GROSBEAK, INDIGO BUNTING, SALTMARSH SPARROW and SEASIDE SPARROW. Both LITTLE BLUE HERON and TRICOLORED HERON are back at Jamaica Bay Wildlife Refuge. New shorebirds include SOLITARY SANDPIPER, SHORT-BILLED DOWITCHER, and LEAST SANDPIPER, and three CASPIAN TERNS were at Sagg Pond today, with two more at Mecox. Also noted have been a few RUBY-THROATED HUMMINGBIRDS. Otherwise, a female HARLEQUIN DUCK was at Point Lookout last Sunday, when a RED-NECKED GREBE was still at Captree State Park, and 48 RAZORBILLS were counted off Main Beach in East Hampton last Saturday. Some WHITE-WINGED CROSSBILLS still around include nine today at Marshlands Conservancy in Rye, where there was also a BOAT-TAILED GRACKLE in the marsh. A close relative to the Northern Mockingbird and Gray Catbird, the Brown Thrasher can frequently be found singing from a high perch. This mimic thrush will imitate a variety of sounds. Unlike the other two mimics, this species always delivers his phrases in couplets before moving on to another measure. 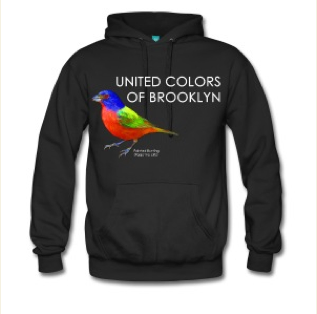 Since my last migration update the number of species reported in Brooklyn has steadily increased. With each South wind a few more Northbound birds have trickled into the area. There weren't any real surprises from my perspective, just a shift from the previous three dominant wood-warblers (Pine, Palm and Yellow-rumped) to a few more splashes of feathered color added to the landscape. In coming weeks our parks will be loaded with many of these birds. I didn't get to spend a lot of time out birding this past week, but did manage to pick up four more year birds. All of the four species are fairly common and I would expect to see them every year. They were - White-eyed Vireo, Bank Swallow, Brown Thrasher and Black-throated Green Warbler. White-eyed Vireo actually nests in Prospect Park and other local habitats. South winds are forecast through the night Friday and into Saturday. There should be a fairly big incursion of new birds in the local parks on Saturday morning and the weather appears to be cooperating. 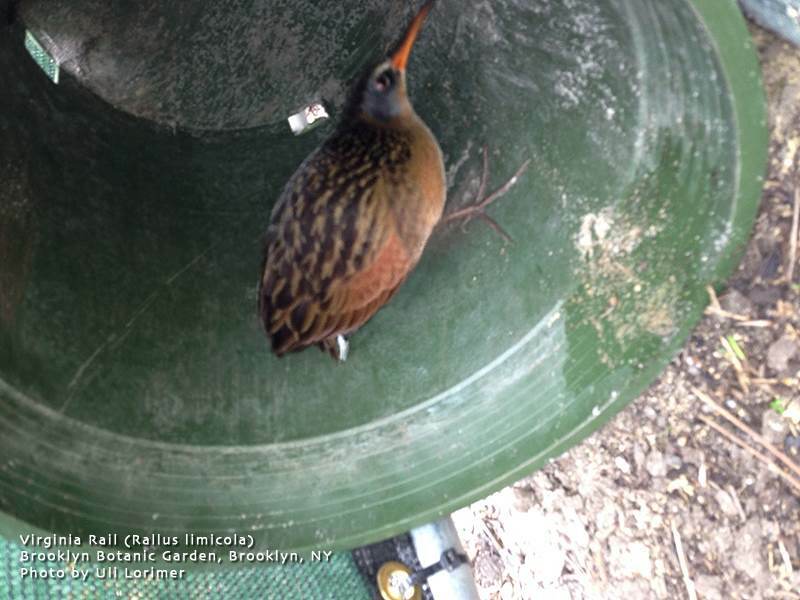 If you want to follow bird migration from a more scientific perspective, but sure to check out David La Puma's great website "Woodcreeper". With a much increased number of hours of sunlight flowering plants around NYC have really begun to explode. While peak bloom for cherry trees is still a short time away, magnolias have definitely reached their climax. As I type this I can smell their sweet fragrance blowing through my open windows. Other plants I've noticed over the past week are Virginia Bluebells, Wild Bleeding Hearts and Grape Hyacinth. Some of the oak trees are now sprouting catkins. Be sure to scan the oaks and maples this coming weekend for migrating warblers as these trees attract the insects which feed the colorful (and extremely hungry) songbirds. I finally identified a lovely flowering shrub that catches my attention every year at this time - Double Flowered Japanese Rose. This year's winner of the 2013 World Environment Day blogging competition is 24-year-old doctor and environmentalist Charles Immanuel Akhimien of Nigeria. You can read about Charles, his winning entry and prize here. Public television stations will be broadcasting a really interesting film called "The Lost Bird Project". I recommend checking it out. You can find the broadcast listings in your area here. Meet 7:45 am inside the main entrance at 25th Street and 5th Avenue. Nearest train is "R" at 25th street station. Meet at the Jamaica Bay Wildlife Refuge Visitor Center for a slide presentation on spring migration followed by a hike around the ponds and uplands to look for spring migrants. Guides: Tod Winston, Joseph McManus, Woodlawn Conservancy Docent With the Woodlawn Conservancy Meet at the Jerome Avenue Entrance of Woodlawn Cemetery. Join us for a morning bird walk and tour of beautiful Woodlawn Cemetery: Tod Winston and Joseph McManus will look for spring migrants and year-round residents on the expansive, wooded cemetery grounds, while a Woodlawn Conservancy docent will share fascinating stories about Woodlawn’s history and the interesting mixture of individuals interred there. To register, call the Woodlawn Conservancy at 718-920-1470. 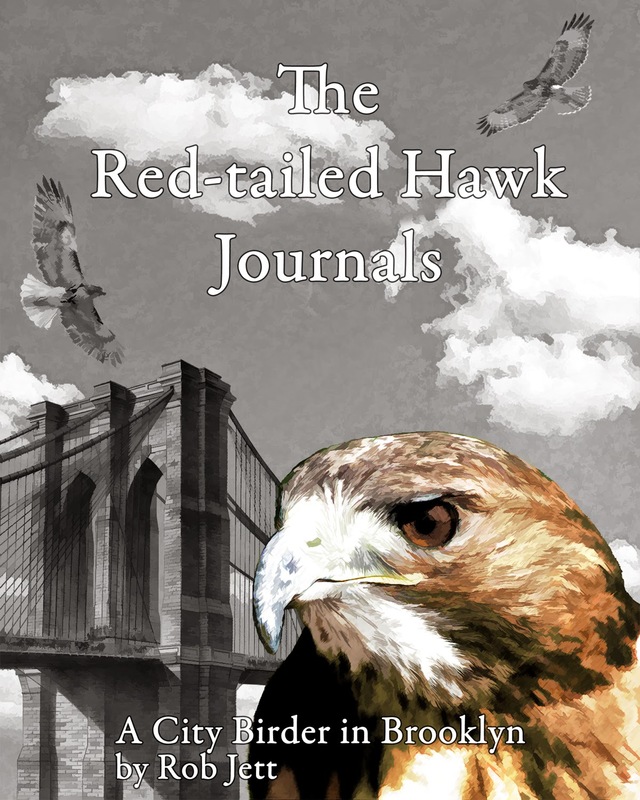 Adult admission $15; Seniors, students and NYC Audubon members $10 (payment at time of walk). Register for our van trip to the Spring Migration Workshop, and get to Jamaica Bay the easy way! Bring lunch, water, and binoculars. Transport by passenger van. Limited to 12. $20 Click here to register. On Saturday, April 27, explore the wetlands and woodlands of Randall's Island Park in search of migratory birds. 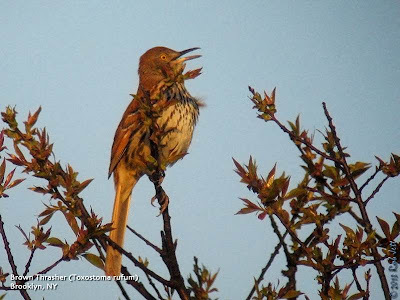 Celebrate spring with a walk around the refuge during the spring bird migration. Greetings. 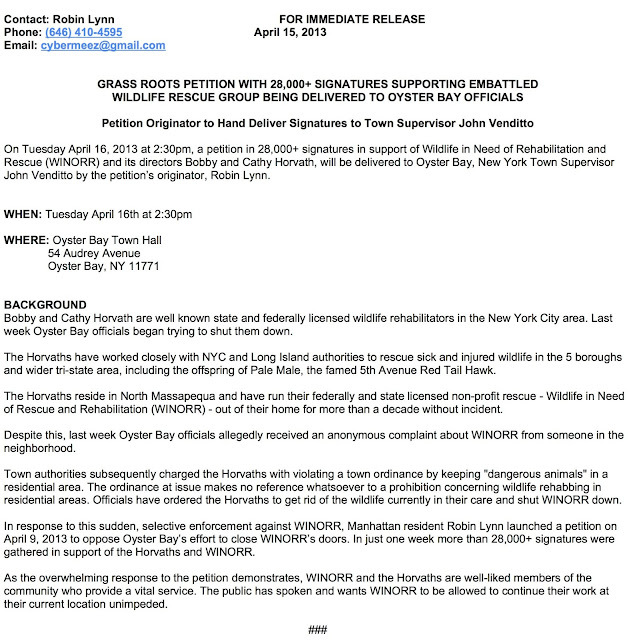 This is the New York Rare Bird Alert for Friday, April 19th, at 7:00pm. The highlights of today's tape are RUFF, YELLOW-THROATED WARBLER, BLACK BRANT, and Spring Migrants. Last Saturday two RUFFS were discovered in the marsh east of Timber Point Golf Club, and both were still noted there today. This club, just northeast of Heckscher State Park, is entered from the end of Great River Road. Follow the signs to East Marina, where there is a parking lot next to the marsh. The birds are seen off and on, usually around the pools in the marsh. One RUFF has acquired some heavy black spotting and other beginnings of breeding plumage, while the other, perhaps a first-year bird, is still in winter plumage. Other shorebirds at these pools since Saturday have included GREATER YELLOWLEGS, LESSER YELLOWLEGS, WILLET, LEAST SANDPIPER, and SPOTTED SANDPIPER. Two BLUE-WINGED TEAL dropped by on Sunday, and six GLOSSY IBIS flew over, also on Sunday, while the lingering Black BRANT was also spotted in the cove south of the Marina, among the few hundred Atlantic BRANT still around the golf course. If visiting there, please do not go onto the golf course or otherwise disrupt the golf activities. At least three migrant YELLOW-THROATED WARBLERS were found this week. One, discovered at Alley Pond Park last Sunday, was still being seen in the vicinity of Little Alley Pond on Wednesday. A second was reported from Massapequa Preserve on Wednesday near the stream, in from Pittsburgh Avenue, and another was spotted Thursday at Hempstead Lake State Park in the usual birding area adjacent to parking lot 3, this where a Yellow-throated had also been seen on the 8th. A good variety of other spring migrants also appeared or became more widespread during the week. GREEN HERON and LITTLE BLUE HERON were both noted, and a VIRGINIA RAIL was found huddled in a flower pot at the Brooklyn Botanic Garden on Wednesday, while today, a large rail, perhaps a dull female King Rail or a Clapper x King hybrid, was picked up at 9th Avenue and 55th Street in Manhattan and later released in appropriate habitat. FORSTER'S TERNS were noted around Jones Beach and at Jamaica Bay last weekend. Early arrivals included an EASTERN KINGBIRD reported Tuesday, BROWN THRASHER, some HOUSE WRENS, and at Prospect Park, a YELLOW-THROATED VIREO last Saturday, followed by a WHITE-EYED VIREO yesterday joining some regional BLUE-HEADED VIREOS. Among the roughly 17 species of warblers so far reported, the more unusual included a few NORTHERN PARULA, YELLOW WARBLER, BLACK-THROATED GREEN WARBLER, BLACK-AND-WHITE WARBLER, OVENBIRD, NORTHERN WATERTHRUSH, and COMMON YELLOWTHROAT, plus a BLUE-WINGED WARBLER in Central Park on Wednesday, a CHESTNUT-SIDED WARBLER today at Oakland Lake in Queens, joining a HOODED WARBLER found there yesterday, a WORM-EATING WARBLER in Prospect Park Wednesday, and a YELLOW-BREASTED CHAT at Jamaica Bay Wildlife Refuge's North Garden last Saturday. BALTIMORE ORIOLE, ROSE-BREASTED GROSBEAK, and SALTMARSH SPARROW have also been observed, and a VESPER SPARROW was in Central Park on Wednesday. A PILEATED WOODPECKER spotted at Inwood Hill Park today is unusual for Manhattan. Three Western WILLETS were photographed at the Levy Preserve off the Meadowbrook Parkway last Sunday, and the unhappy-looking RED-NECKED GREBE was still in the Captree State Park boat basin on Sunday. EURASIAN WIGEON was reported from Massapequa Preserve today, but we are not sure how many individuals are involved. A flock of RED CROSSBILLS continues at Maple Swamp County Park in Flanders, this off Pleasure Drive, while one or two WHITE-WINGED CROSSBILLS remain in Prospect Park, with up to 20 seen at Marshlands Conservancy in Rye this week. Sea watches off East Hampton had lots of loons and gannets early in the week, as well as some RAZORBILLS: 67 counted Saturday, and 99 on Tuesday. NORTHERN GANNETS have again this spring entered western Long Island Sound, with good numbers off Westchester and northern Long Island. Brief South winds over this past week have helped carry even more new species of birds into Brooklyn and all of New York City. My previous week's migration update tallied 63 species of birds. This week the number has jumped up to 104. Last Sunday Keir, Heydi and I met at Stillwell Avenue in Coney Island at first light. We planned on walking up Cropsey Avenue to Calvert Vaux Park. This park on a peninsula jutting into Gravesend Bay has a nice stretch of open grass and a possible stopover for Upland Sandpiper. From there we'd walk back to the boardwalk and scan offshore along the beach. The previous day I spent birding Prospect Park where we added a few new species including Chimney Swift, Blue-headed Vireo, Northern Rough-winged Swallow, Blue-gray Gnatcatcher, Louisiana Waterthrush, Black-and-white Warbler and Chipping Sparrow. The Blue-gray Gnatcatcher makes one of my favorite, cute calls which sounds more like an insect than a bird. You can hear it at this link. 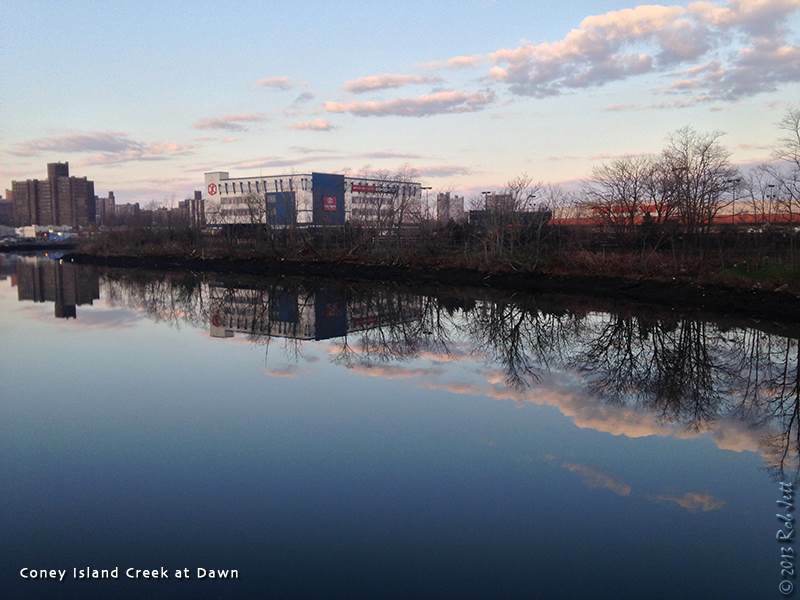 Crossing over Coney Island Creek as the sun came up made for a nice photo op. 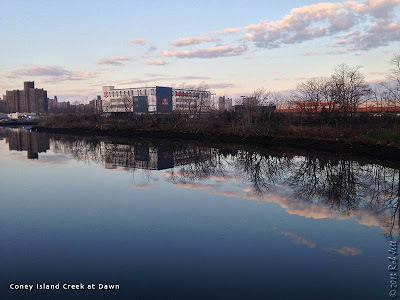 What the image doesn't reveal is that, after Newtown Creek, this creek is one of the most toxic bodies of water within New York City. I wonder what the mortality rate is for the waterfowl that live here all year. There are actually Fiddler Crabs eking out a living in some sections of the shoreline, which the Black-crowned Night-Herons eat. Hopefully they find healthier pickings elsewhere around New York's harbor. Across the cove on the South side of Calvert Vaux Park there used to be a narrow stretch of trees and understory that attracted migrating birds. I say "used to" because the department of parks appears to be cutting everything down and bulldozing it. This photo is a view from that side of the cove facing the park. Needless to say, we didn't find many birds in that area, although a small flock of Glossy Ibis flying overhead was new for the season for me. We did manage to find a small, mixed flock of sparrows feeding in the parking lot at Calvert Vaux. The flock contained 6 Field Sparrows. Perched in a treetop overlooking the parking lot was an Eastern Meadowlark. From there we continued to the large grass fields at the far end of the peninsula. The fields were depressingly devoid of bird life. This Peregrine Falcon scanning the ground from one of the lampposts overlooking the fields might have had something to do with all the missing birds. In addition, there was a female kestrel in a tree at the opposite side of the field. By the time we made it back to the boardwalk winds from out of the West had picked up considerably. The early morning glass calm water was now choppy, making spotting birds much more challenging. There were lots of gannets feeding offshore, but nothing new or unusual that we could pick out. After a short break for breakfast, we hopped the train and headed to Marine Park. Forster's Terns have returned and there were a couple squawking along the Western edge of Gerritsen Creek. Lots of molting Ruddy Ducks were still present, but I assume will all disperse in the next few weeks. The parks department erected a pair of Osprey nest platforms a few years ago on the East side of the creek. It appears that one is finally being used. I am always amazed by the size of some of the nest material that this unique raptor manages to drag up onto its platforms. I have hands with opposable thumbs and am pretty sure that I'd have a very difficult time maneuvering some of those tree limbs into a nest. Wednesday's tour of Green-Wood Cemetery revealed lots of Chipping Sparrows moving through the area. Some will no doubt remain as chippings do nest within the cemetery. There were also Hermit Thrushes all over the place and the highest number of Blue-headed Vireo that I've seen so far this season. Pine, palm and Yellow-rumped Warblers continue to dominate the warbler landscape. One surprise for me was a female Rose-breasted Grosbeak calling from the top of a tree. I had initially discounted the sound as "real" because the large number of mockingbirds in the cemetery had been imitating everything from car alarms to Great Crested Flycatchers. It seemed a little early for grosbeaks, but I decided to check it out anyway. I'm glad I checked because it was the real McCoy. 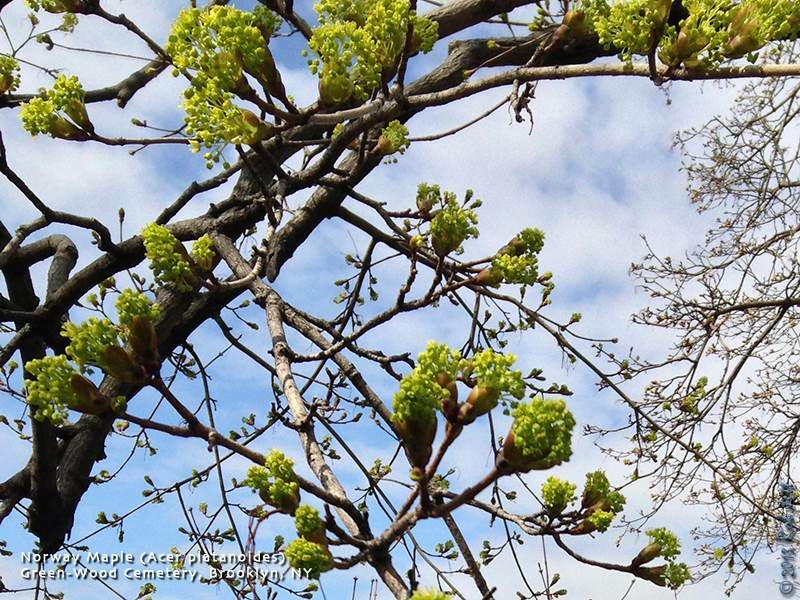 I've included this photo of Norway Maple flowers because it is an important indicator for warbler migration. These trees are beginning to flower. Their flowers attract insects just around the time that the wood-warblers and other neotropic songbirds arrive in our area. They are some of the best trees to scan for songbirds in the Spring. The flowers of these trees start to drop as the oaks become festooned with catkins...also another good spot for warblers to find insects. The winds have switched to the South and will continue throughout the night. Early tomorrow morning may not be so much fun if you don't like rain, but hungry birds don't care, they still need to eat. I plan on being in the park at first light and, if you want to find some amazing birds, you should, too. The Greater Yellowlegs is relatively common throughout the United States. Nesting in the Canadian boreal forests and the tundra, little is known about their breeding habits. 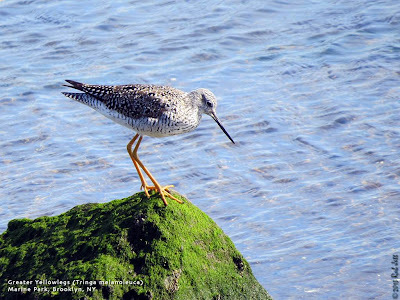 It is very similar in appearance to the Lesser Yellowlegs. Here is a comparison of the two species, although this posting points out that using their vocalizations for identification is not necessarily definitive. This week I received a note from Marilyn Smith at the Brooklyn Botanic Garden. She had an odd bird sighting and needed help with identifying the species. I hope this adds a little more zing to your spring! Here are some more blooms from this past week, which includes Saucer Magnolia and Spring Beauty. We received great news today ! Over the weekend Supervisor Venditto called me at home to discuss the situation and again yesterday as well and finally we were able to meet today to work out a solution. We have been granted permission to continue rehabbing wildlife with some adjustments which should benefit everyone involved. We will still be able to work from our home but will also look into alternative sites such as Tackapauasha Museum, our town animal shelter , or any other appropriate location to expand long term . Cathy and are are very happy and look forward to work with our town and all the other agencies we have served over the years. We appreciate John Venditto's acknowlegdement of the important work we do and today his actions backed up what he has said to me over the past few days. We want to thank all the people who have publicly supported us starting with Robin Lynn and the petition she started on our behalf . I've never been involved in anything like this before and watched it start out and just grow and gain speed in no time at all. Thank you . And too all the others who took the time out on our behalf to show your support with an e mail, letter , or phone call including old friends and new, attorneys, rehabbers, rescue groups, and governmental agencies I also thank you . Over the years Ive had more than my share of media coverage but this obviously was not the type of thing I would wish on anyone. We are glad its over, just want to be good neighbors and will strive to improve and continue to assist whenever and wherever we can. More information is emerging about the tar sands pipeline spill in Mayflower, Arkansas and an attempted cover-up. Steve Horn at the Desmog Blog has a very well researched report. Arkansas' Attorney General Dustin McDaniel has contracted out the "independent analysis of the cleanup" of the ExxonMobil Pegasus tar sands pipeline spill to Witt O'Brien's, a firm with a history of oil spill cover-ups, a DeSmogBlog investigation reveals. At his April 10 press conference about the Mayflower spill response, AG McDaniel confirmed that Exxon had turned over 12,500 pages of documents to his office resulting from a subpoena related to Exxon's response to the March 29 Pegasus disaster. A 22-foot gash in the 65-year-old pipeline spewed over 500,000 gallons of tar sands dilbit through the streets of Mayflower, AR. McDaniel also provided the media with a presser explaining that his office had "retained the assistance of Witt O’Brien’s, a firm whose experts will immediately begin an independent analysis of the cleanup process." Witt O'Brien's describes itself as a "global leader in preparedness, crisis management and disaster response and recovery with the depth of experience and capability to provide services across the crisis and disaster life cycle." But the firm's actual performance record isn't quite so glowing. O'Brien's has had its hands in the botched clean-up efforts of almost every high-profile oil spill disaster in recent U.S. history, including the Exxon Valdez spill, the BP Deepwater Horizon spill, the Enbridge tar sands pipeline spill into the Kalamazoo River, and Hurricane Sandy. Most troubling of all, Witt O'Brien's won a "$300k+ contract to develop a Canadian-US compliant Oil Spill Emergency Response Plan for TransCanada’s Keystone Oil Pipeline Project" in Aug. 2008. Thus, if the Keystone XL (KXL) pipeline inevitably suffered a major spill, Witt O'Brien's would presumably handle the cleanup. That should worry everyone along the proposed KXL route. In Dec. 2012, Witt Associates merged with O’Brien’s Response Management to form Witt O’Brien’s. The merger at-large is owned by Seacor Holdings. O'Brien's was formed in the early 1980s by Jim O'Brien - a former U.S. Coast Guard officer - as O'Brien Oil Pollution Service, otherwise known by OOPS, Inc. That's not a joke, it was their actual name. OOPs, Inc. was acquired by Seacor Holdings Inc. under the auspices of Seacor Environmental Services division in 1997, later renamed The O'Brien's Group (TOG). TOG was later re-named O’Brien’s Response Management Inc. in Oct. 2008. In December of 2009, O’Brien’s completed the successful acquisition of PIER (Public Information Emergency Response) Systems Inc., a crisis communications company that has developed the PIER software application, an all-in-one, web-based solution for communications management, public relations, media monitoring, employee notification, and business continuity. Witt Associates, meanwhile, was founded by James Witt, former head of the Federal Emergency Management Agency (FEMA) under President Bill Clinton who also served Gov. Clinton in Arkansas as head of the state's Office of Emergency Services. He started Witt Associates upon leaving his Clinton Administration post. Many of Witt O'Brien's clients are oil and gas industry giants and many of its employees formerly worked for the industry. Tim O'Leary, its Vice President of Communications, formerly worked for Shell Oil's Media Relations and Crisis Management team. Don Costanzo, Senior Vice President Business Applications at Witt O'Brien's, formerly had a client list that included BP, ExxonMobil and Shell during his time spent as head of Renfroe & Company, according to his LinkedIn page. Steve Candito, President and CEO of National Response Corporation (NRC), is a former ExxonMobil employee, serving as a marine engineer aboard its domestic tanker fleet from 1980-1985. He is a "member of the Boards of Directors of various SEACOR Environmental Services entities (which owns Witt O'Brien's)," according to his biographical sketch on the NRC webpage. A March 2011 version of the O'Brien's Response Management website shows a client list including ExxonMobil, BP and Transocean (of Deepwater Horizon infamy), ConocoPhillips and pipeline industry giant Kinder Morgan. One of Witt Associates' former clients is ICF International, where Energy Secretary nominee Ernest Moniz sits on ICF's Board of Directors. ICF was one of the three oil and gas industry-tied consulting firms contracted out by the U.S. State Department on behalf of TransCanada to conduct the Keystone XL Supplemental Environmental Impact Statement. In July 2010, one of Enbridge's tar sands pipelines spilled over 1 million gallons of tar sands dilbit into the Kalamazoo River in an incident now known by close observers as the "dilbit disaster," the worst inland pipeline spill in U.S. history. O'Brien's was hired for cleanup duties. A whistleblower later revealed that O'Brien's engaged in a literal cover-up on behalf of Enbridge. On...September 6, , Jason Buford, a representative from O’Brien’s Response Management...called a meeting...[and] said that, if they were going to meet deadline now, they needed to stop wasting time with small oil-clogged areas. He directed [a] crew to go through the woods, thin out oily debris, and mix mud into the remaining oil so that the EPA would clear the site. The whistleblower was fired when he spoke out against O'Brien's demands to cover up oil and threatened to go to the press and government authorities. Witt O'Brien's was also involved in the cleanup effort for the BP Deepwater Horizon disaster in the Gulf of Mexico, the worst oil spill in U.S. history, as well as for the Exxon Valdez oil spill, the second worst in U.S. history. Seacor Environmental Services, which owns Witt O'Brien's, was one of the parties responsible for spraying the toxic chemical oil dispersant Corexit into the Gulf of Mexico during the BP Deepwater Horizon blowout, according to an Aug. 2010 story in The Wall Street Journal. Anne Landman, writing for PR Watch, explained that Corexit does not actually clean up oceanic spills. BP applied roughly 1.1. million gallons of surface dispersant in the Gulf and over 720,000 gallons of subsea dispersant. It is a "science experiment" - as Aaron Viles of the Gulf Restoration Network put it - whose impacts are still unknown on water, on water-based animals, and on water-based animals when converted into consumable food. Corexit was also applied during the Exxon Valdez oil spill, a disaster response O'Brien's helped oversee, according to its website. O'Brien's also helped with the damage control in the form of PR spin for the Deepwater Horizon disaster. Brad Johnson, then writing for Think Progress, explained that Witt O'Brien's PIER Systems was "being used by Unified Command for media and public information management” during the Deepwater Horizon spill in an article titled, "BP’s Secret Army Of Oil Disaster Contractors." BP was listed as one of PIER's clients in a 2008 version of its website. Former Bush Administration FEMA head of External Affairs, John "Pat" Philbin, got a gig as Senior VP of PIER upon leaving FEMA. In Sept. 2011, Jeb Bush - brother of former President George W. Bush and former Republican Governor of Florida - joined the O'Brien's team. "Former Florida Governor Jeb Bush, through his firm Old Rhodes Holdings LLC, and O’Brien’s Response Management (O’Brien’s), a wholly owned subsidiary of SEACOR Holdings Inc. (NYSE: CKH), today announced a strategic partnership to facilitate O’Brien’s growth into new markets," explained an O'Brien's press release. George W. Bush's first FEMA Director, Joe Allbaugh, called for privatization of FEMA's functions. "Expectations of when the federal government should be involved and the degree of involvement may have ballooned beyond what is an appropriate level," he once said. "We must restore the predominant role of State and local response to most disasters." 2012 Republican presidential candidate Mitt Romney also called for the full-privatization of FEMA during one of the presidential debates. Crisis Communications and Keystone XL: Spill Cleanup or Image Cleanup? 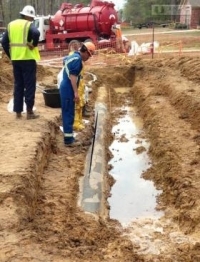 Witt O'Brien's has been tasked by TransCanada to oversee spill response for its prospective Keystone XL tar sands pipeline that will bring the dilbit from Alberta to Port Arthur, TX, after which it will be placed on the global export market. Yet its track record in Valdez, the Gulf of Mexico, Kalamazoo and now in Arkansas indicates that O'Brien's is more interested in PR damage control than spill cleanup. Crisis management is a key aspect of Witt O'Brien's client offerings, and its spin machine is currenly likely working just as hard as its actual spill clean-up team. With Lake Conway and its accompanying cove now contaminated with tar sands dilbit, 22 households evacuated in Mayflower, it's no wonder ExxonMobil is running the show both by land and by air there. Yet, Attorney General McDaniel is taking spill cleanup advice from a firm known for cover-up and not clean-up, all under the guise of a robust independent investigation of Exxon. This can't end well, and begs the unpleasant question as to whether the same situation can be expected for the Keystone XL. Sunday, April 21, 2013, 10:30 A.M. to 12:30 P.M.
Join naturalist and former New York State archaeologist Mike Shanley on an exploration of the Arbutus Creek Bluebelt in Huguenot. We will make our way through the Kingdom Avenue Woods, Arbutus Woods, Huguenot Ponds Park, and finally visit a relatively unknown pond adjoining Our Lady Star of the Sea. Meet at the corner of Jansen Street and Kingdom Avenue. For more information call Mike at 917-753-7155, or email Falecore@yahoo.com. Sunday, April 21, 2013, 1:00 P.M. to 3:00 P.M.
Kingdom Pond Park, Arbutus Woods, Bunker Pond and the Huguenot Pond Park are small parks in the lower Huguenot area. Meet along Kingdom Avenue (parallel to Huguenot Avenue) at the intersection of Jansen Street. Join Mike Feller for an early morning nature walk through Inwood Hill Park.